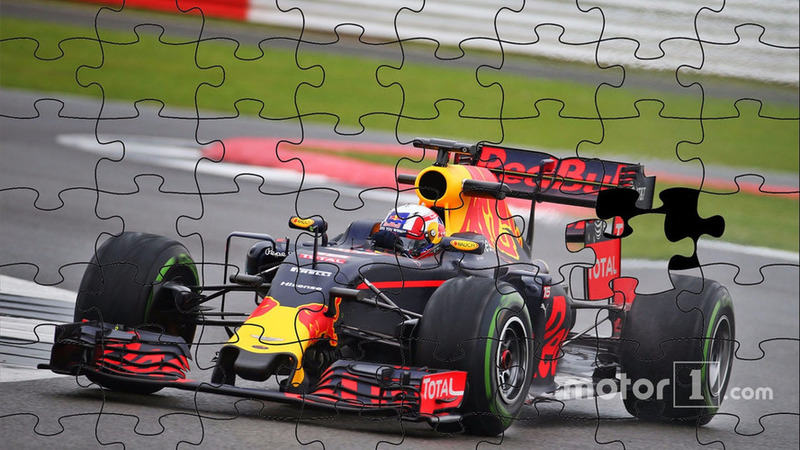 Red Bull has made significant strides over the course of the 2016 season, and while many would assume it is down to its usual intense aerodynamic development programme, it’s actually a little more complex. Matt Somerfield analyses. Initially, it seemed Ferrari had closed the gap to Mercedes, keeping pace in the opening few races. 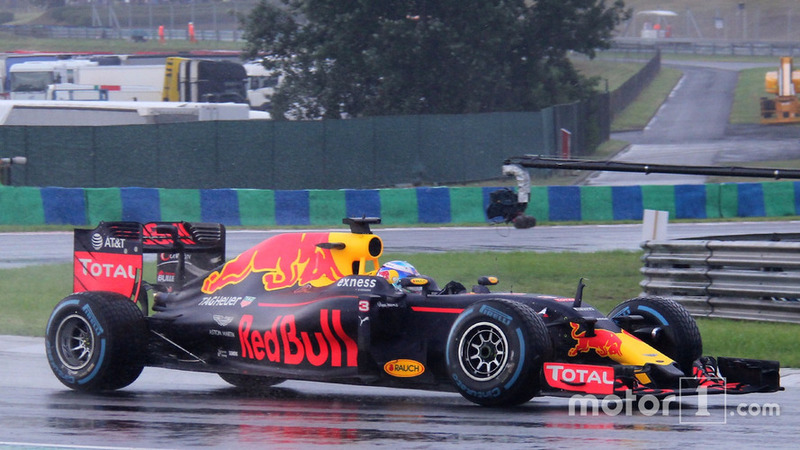 But, as the season unfolded, its pace dropped away, whilst Red Bull have come to the fore. This is where the battle between development philosophy lay, as Ferrari’s relative gains to Mercedes came from the improvements made to its powe runit over the winter. But, as tends to be the case with Ferrari, its aerodynamic development hasn’t been as strong as those around them. And as Mercedes started to pile on the aero upgrades during the season, the gap widened. Meanwhile, Red Bull has deceptively been quiet on the aero side, with only circuit-dependent updates being placed on the RB12. 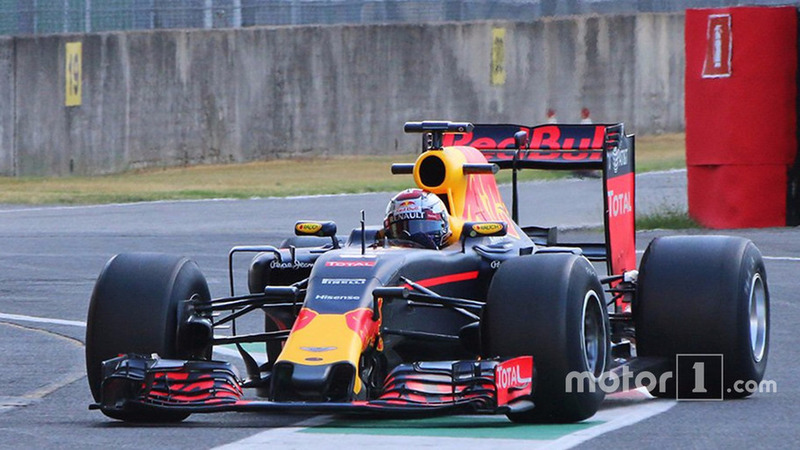 The start of Red Bull's campaign was compromised by a lack of power compared to Ferrari. However, when an updated TAG-branded Renault power unit was made available at the post-Barcelona test, suddenly the tide turned. Since Monaco, we’ve seen Red Bull make considerable inroads, with the team overtaking Ferrari in the championship standings just before the summer break. It’s not like someone’s just turned on the lights at Red Bull though. There isn’t just one singular reason for the team's improvement, rather a collection of changes that centre around a better understanding of the overall package, starting with the power unit. Christian Horner has been eager to point out that, even after the upgrade, the Renault power unit is still 50bhp down compared to the Mercedes, but this is a line we’ve heard before. Even in the V8 era, at a time when Red Bull was dominant, the claim from Horner was that the team lacked 50bhp compared with its rivals, a figure that could be negated by aerodynamic superiority. So, this closing of the power unit deficit is one piece in the middle of the jigsaw puzzle, putting the designers in a window they’ve overcome before. But they’ve also found some of the square edges, too. One of the areas that Mercedes got the jump on its rivals in the lead up to the hybrid era was the adoption of a chassis dynomometer, enabling them to understand the behaviour of the powerunit whilst installed in the chassis. Ferrari, Renault and Honda continued to plug away with their standard dynos, but we understand that at least Ferrari and Red Bull now have their own chassis dynomometers, allowing them to dynamically simulate the power unit's behaviour. It’s understood that Renault’s updated power unit was signed off once fitted to the Red Bull chassis dyno, as Renault doesn't have space for its own at its factory in Viry. It is also believed that, while the Mercedes and Ferrari chassis dyno is software-based, Red Bull has renewed its simulator in order that it be linked to the chassis dyno next door, with inputs created by the drivers truly putting them ‘in-loop’ and giving an even more accurate model of how the energy recovery and brake-by-wire systems can be utilised throughout a lap for each driver. From an aerodynamic point of view, the closing of the power deficit has allowed the aero and chassis team to investigate things it has done in the past. The raked attitude of the RB12 has clearly changed since Barcelona, allowing the team to take advantage of more downforce, whilst being quick in a straight line. Now these two things are ordinarily diametrically opposed, with drag a consequence of high aerodynamic load. But, if set up correctly, a team can stall the most loaded elements, reducing drag and improving top speed performance. Furthermore, the nose-down attitude of the car puts the front wing further into ground effect, improving not only its performance but the components downstream, as downforce is increased but not to the detriment of additional drag. The rub comes from being able to find a speed threshold whereby you’re effectively switching off the rear wing. This happens when the car's rake is reduced: as the load builds with speed, the car is forced toward the ground, which in-turn rotates the wing and overloads it, stalling flow, both reducing downforce and drag. Car setup is crucial in finding this aerodynamic sweet spot, as there are several factors to consider, including balance, fuel load/weight and the vMax for the highest speed corner on the circuit. The car would become unstable on corner exit at the highest speed corner if these aren’t taken into consideration, and it is something that we’ve seen the team tuning throughout free practice sessions in order to make the drivers more assured. Red Bull has been deliberately covert in terms of its suspension setup changes since the start of the 2016 campaign, and has gone as far as hinging its vanity panel in order that any changes done to the suspension during free practice are done out of sight. The Austrian team remains the only one to use bellville springs as part of its third element, albeit they line up on the left side of the car in 2016 as part of the teams front-end overhaul, with the suspension rockers located significantly higher this season, and the roll bars moved inward. 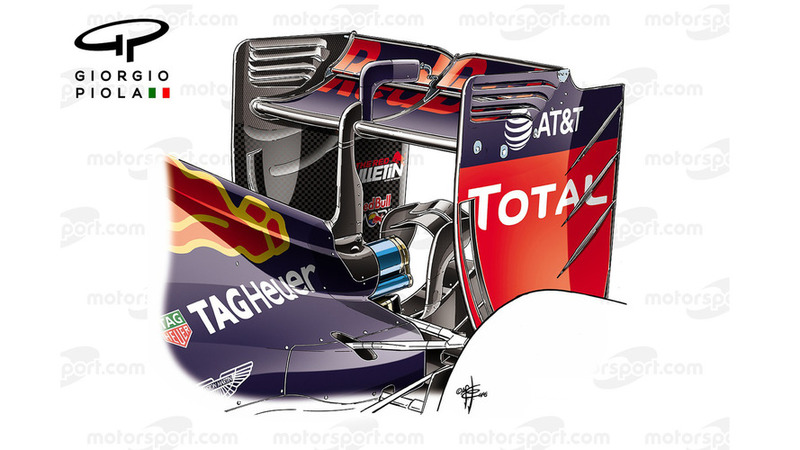 These are not only changes that have an impact on the packaging of the RB12, but also how the car behaves dynamically, with the RB12 seemingly unrivalled in the turning-in phase, giving the drivers much more confidence to throw the car into the corner. It could be argued that some of the relative performance differences of both Max Verstappen and Danil Kyvat since their in-season switch centres around this, with the former now able to lean on the car, enhancing his more assertive driving style. On the other hand, Kvyat, who was used to the RB12’s responsiveness, now peddles a car that washes away on his commands, a frustrating characteristic heightened by the other deficiencies of the STR11 and a year-old Ferrari power unit. A more balanced chassis behaviour will also have an effect on tyre dynamics, performance and degradation, another of the jigsaw pieces that seems to be fitting better now. In Monaco, it is pretty much a given that a team will simply load the highest downforce configuration it can muster, with little to no regard for the amount of drag that is generated. Now, whilst the monkey seat does little in either respect in its own right, it is used to tease the diffuser and rear wing into interacting with one another, creating a unified aerodynamic structure to improve downforce. 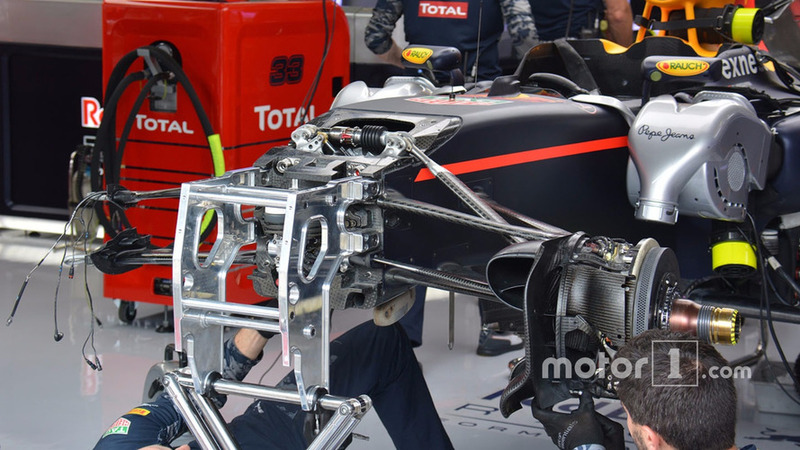 However, Red Bull which ran without a monkey seat at every GP leading up to Monaco, decided against it again, showing how in tune the RB12’s rear-end aero structures are in the first place, albeit they did run up-wash strakes on the endplate first used in Russia. It wasn’t until Hungary that we saw the team wheel the car out with a monkey seat, and even then it trialled its setup without one during free practice to ascertain whether it was making the right choice. All of this circles back to how aggressive the stall is, which not only reduces drag but moves the cars centre of pressure with it, likely giving the team an advantage in terms of tyre deformation, performance and wear. Red Bull’s lack of aerodynamic updates for the RB12 may be even more unsettling for its rivals, as the more aerodynamically-driven regulations for 2017 may well have been their full time focus for some time now. Clearly, the team has had to focus some effort on the mule car being used in the Pirelli tyre tests, but I suspect it learnt a lesson or two following the continued development cycle of the RB9 in 2013. Renault has admitted that it mis-handled the approach toward the hybrid regulations, shifting resources far too late into the development cycle of the 2014 power unit. Red Bull, who made some of their errors, put the blame firmly in Renault’s corner, causing what seemed be an untenable relationship just 12 months ago. Since then, a more mature relationship has evolved, with both parties working more closely with partners, such as Ilmor and Total to improve the power unit in a similar vein to Mercedes and Ferrari. For 2016, the hard work has been done, with the Bull chasing and taking down the Prancing Horse. The momentum is now in Red Bull’s favour and it seems inevitable that the Milton Keynes-based squad will go on to take second in the constructors' championship.